The horrific scenes from Christchurch, New Zealand last week shocked all right-thinking people around the world. The slaughter of so many devout and innocent people in the name of hatred and extremism is something that has no place in a free and civilized society and condemnation has rightly been forthcoming both for the murderer himself and those who have voiced sympathy for his motivation and ideology. But alongside this has been the inevitable political and public response. Among the more proportionate responses have been pledges to reform gun laws in New Zealand, something that the USA could learn a great deal from. But, after the killer broadcast his massacre on Facebook live, there has also been a hugely disproportionate reaction to the online platforms which hosted this content. Most sites have opted to take the footage down. But some haven’t and this has led to a worrying response from ISPs. In New Zealand, three of the country’s biggest mobile networks, Spark, Vocus, and Vodafone have blocked a number of sites where this footage remains available. 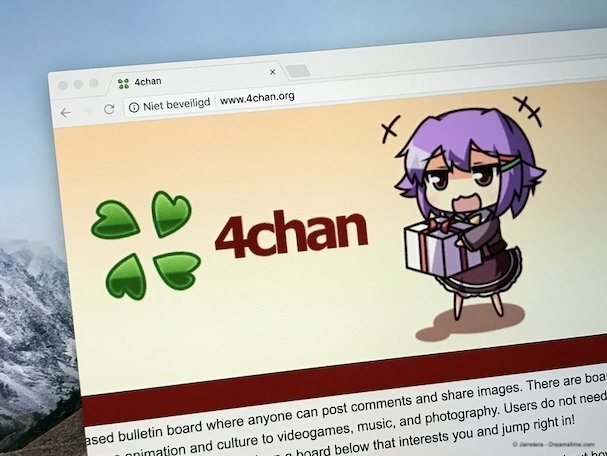 These sites include 4chan and 8chan. There are reports that other ISPs have followed their lead and that sites such as the file-sharing service Mega, video hosting platforms such as LiveLeak and BitChute, cacheing site Archive.is, and Kiwifarms are all also blocked in New Zealand. There has been a similar reaction in Australia, where the killer was from. Major Australian Telco’s including Telstra, Optus, and Vodafone have confirmed that they have blocked a number of different sites still hosting footage of the massacre. Telstra has confirmed these include 4chan, 8chan, Voat, the Zerohedge blog, and Liveleak. Optus and Vodafone have not formally confirmed the domains they have blocked but tests show that all of these sites are currently unavailable on their network too. Many people will sympathise with the decision and question why anyone would want to view such horrific content. But the fact remains that all of these sites host a vast amount of perfectly legal content alongside this footage and the decision to block the entire site feels very much a case of throwing the baby out with the bathwater. It also ignores the fact that such blocks are easily bypassed with the use of a VPN. Anyone who wants to access any of these sites just needs to sign up with any VPN and connect to a server outside Australia or New Zealand. They will then be able to bypass the block and view whatever content they want. Even more worrying, the censorship of these sites in both Australia and New Zealand has been a unilateral decision by the ISPs and telco’s involved. Optus released a statement claiming that it had chosen to block the content after “reflecting on community expectations”. But the fact remains that these companies have taken the decision to censor online content from the people of Australia and New Zealand without any court order or instructions from the government to do so. Looking at that decision dispassionately and putting the dreadful events in Christchurch to one side, it sets a worrying precedent. In effect, it is saying that companies like these are allowed to pick and choose what content the people of Australia and New Zealand are allowed to view. Not governments or courts, but telcos and ISPs. That is a situation nobody should be happy with, regardless of their views on the Christchurch atrocity. Such tragedies are sadly used all too often by governments and big business to their own ends. In this instance, the governments of both Australia and New Zealand have been fairly balanced in their responses. But it is the unilateral action of ISPs and telcos which are the biggest cause of concern. No-one wants to live in a world where people think it’s acceptable to massacre innocent people and provoke others to do the same by spreading footage online. But equally, we don’t want to live in a world where tech companies can dictate what content we can and can’t access online either. There is a balance which has to be struck and in this instance, albeit perhaps with the best of intentions, the ISPs and telcos in Australia and New Zealand have overstepped the mark.